Students who do not practice their LSAT PrepTests under actual conditions WILL experience a drop in their score on test day. This is because the test-day environment is more intimidating and full of distractions that will undermine months of dedicated LSAT prep. The SimuGator LSAT Proctor DVD solves this problem! 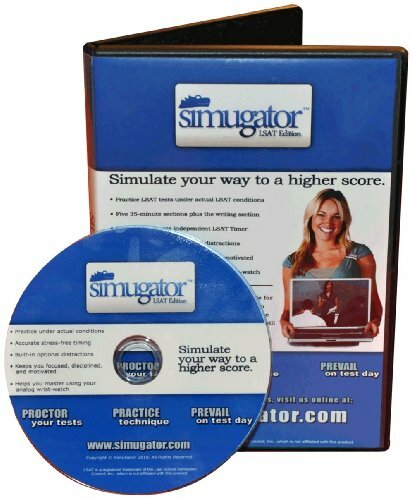 It is the only full video simulation of the LSAT for students to use along with their LSAT PrepTests. With the push of a button, you will be immersed in a realistic LSAT environment complete with: a proctor who tells you when to start, gives the five-minute warning, and tells you when to stop; all of the test-day procedures so you can know what to expect; and the feeling of people being around you making common test-day distractions. Simply put, this is the only product that lets you 1) accurately time your PrepTests with the push of a button, 2) improve your concentration, and 3) be prepared for anything on test day.